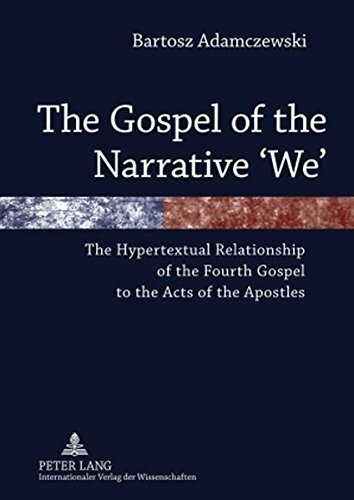 The work analyses the current state of research on the problem of the relationship of the Fourth Gospel to the Synoptic Gospels. It proves that the Fourth Gospel, which was written c. AD 140-150, is a result of systematic, sequential, hypertextual reworking of the Acts of the Apostles with the use of the Synoptic Gospels, more than ten other early Christian writings, Jewish sacred Scriptures, and Josephus' works. The work also demonstrates that the character of the 'disciple whom Jesus loved' functions in the Fourth Gospel as a narrative embodiment of all generations of the Pauline, post-Pauline, and post-Lukan Gentile Christian Church. These features of the Fourth Gospel imply that it was intended to crown and at the same time close the canon of the New Testament writings. Bartosz Adamczewski received his D.D. in biblical theology at The John Paul II Catholic University of Lublin and his SSL at the Pontifical Biblical Institute in Rome. He is lecturer of the New Testament at the Cardinal Stefan Wyszynski University in Warsaw.